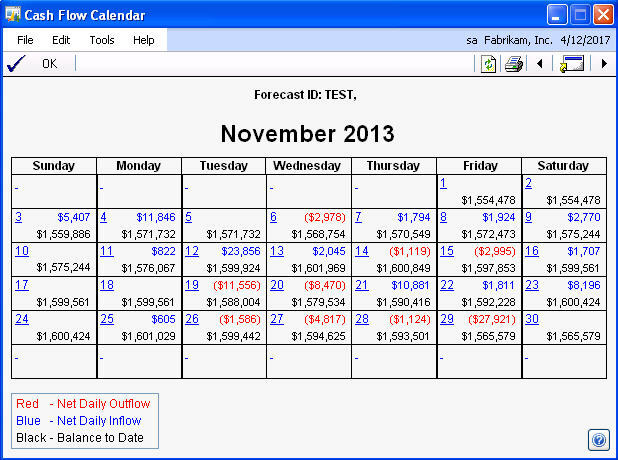 Dynamics GP includes a little known feature named Control Account Management. 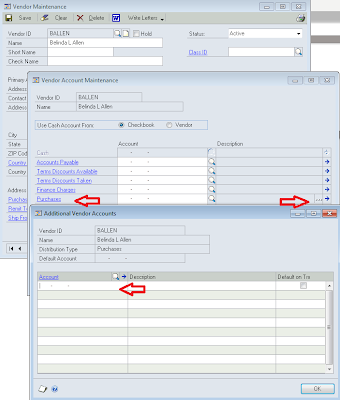 It's part of the Purchasing module and its designed to let companies use a centralized AP account and then split their AP to divisional segments for financial reporting. 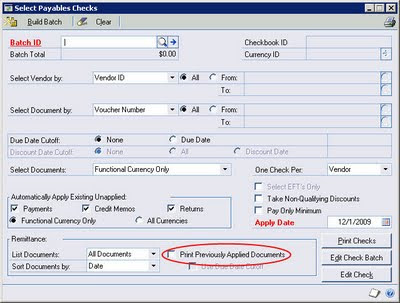 When creating a payables check batch, you have the option to print Previously Applied Documents on the check remittance. 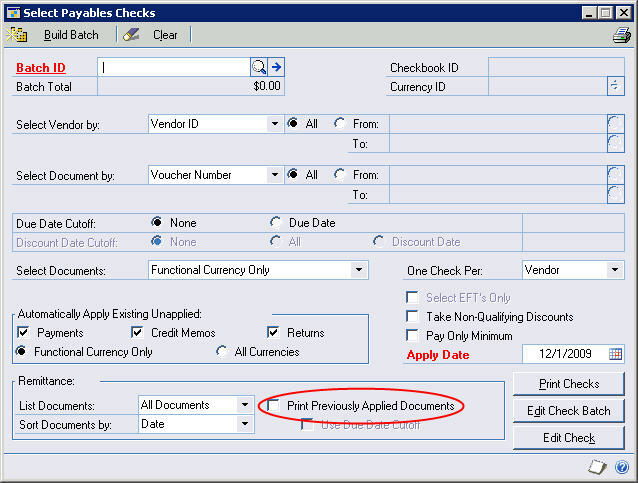 gptip42day - Why does my Next Check Number skip a beat? This can be a vexing issue with no apparent cause. It also can lead to questioning the integrity of GP. Here are some primary reasons why GP can appear to be skipping a check number (or PO, or SO, etc. 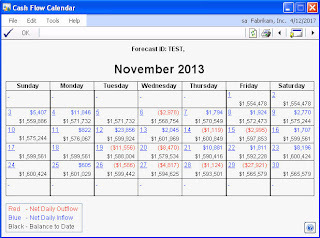 - any document number that automatically increments). In the U.S., a 1099 form is used to provide information to the IRS on non-corporate vendors that are paid more than $600. The biggest problem with this process is getting a Tax ID number from these vendors, usually this involves a W-9 form. 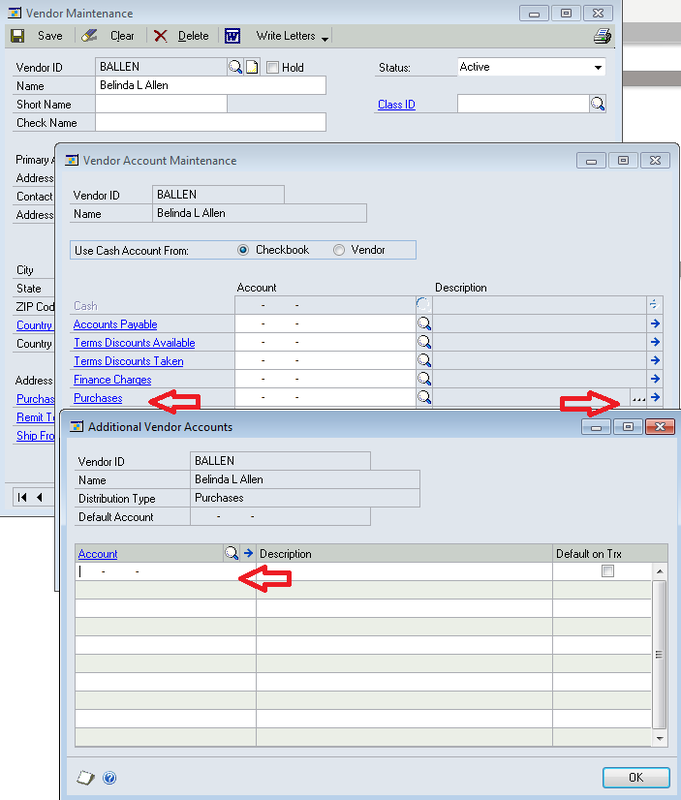 Often, companies don't get a Tax ID number when they setup the vendor and have to go back at year end and try to get one. Good luck making this happen in the real world.